Episode 6​6 - Aric Ho Dan Sterenchuk and Tommy Estlund are honored to have as our guest, Aric Ho. 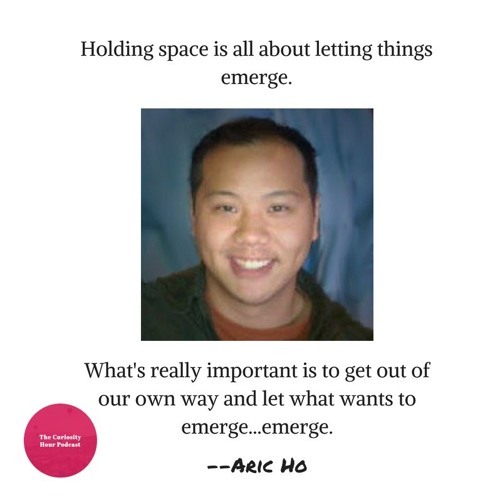 Aric loves taking people and organizations to the next level. He strives to create a world where people, organizations, and the planet can thrive and live in abundance. Aric believes that understanding multiple perspectives is critical to systemic change. Driven by a spirit of inquiry and passion to make an impact, he spent 15 years gaining as many perspectives as he could - from microbreweries and Nordstrom, to 911 communications and healthcare. Now he uses his diverse perspectives and generalist skill set to foster trust and innovation, which he believes is critical to survival and prosperity. Things he's proud of: * Finding new ways to make his daughter laugh. * Supporting and being supported by his wife through thick/thin. * Equity and inclusion work focused on affordable housing in King County. * Helping others to believe in themselves to achieve awesomeness. Aric works with the Homestead Community Land Trust. Check out their website: www.homesteadclt.org Note: guests create their own bio description for each episode. The Curiosity Hour Podcast is hosted and produced by Dan Sterenchuk and Tommy Estlund. Please visit our website for more information: thecuriosityhourpodcast.com Please visit this page for information where you can listen to our podcast: thecuriosityhourpodcast.com/listen/ If you would like to share your story or have a suggested guest, please complete the "Contact us" form: thecuriosityhourpodcast.com/contact-us/ Disclaimers: The Curiosity Hour Podcast may contain content not suitable for all audiences. Listener discretion advised. The views and opinions expressed by the guests on this podcast are solely those of the guest(s). These views and opinions do not necessarily represent those of The Curiosity Hour Podcast. This podcast may contain explicit language.